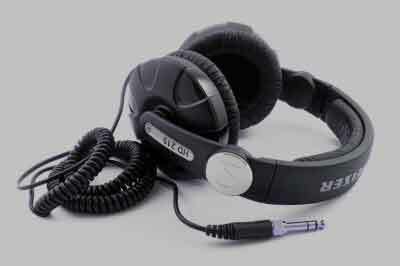 Forensic Audio Enhancement, Audio Authentication and Audio Cleaning Services. All voice analysis, forensic speaker comparison and audio verification services including our audio clarification and forensic audio enhancement services are conducted in-house to minimise cost, making it more cost effective for all our UK and global clients, aiding a fast turnaround and maximising total security and confidentiality of the client's case file. Forensic audio is an intricate and highly specialised field calling for specialist audio lab engineers and technicians to have a high degree of expertise, experience and knowledge in order to deal with the technical applications. Our team are highly skilled and dedicated to meet the demands that forensic audio as a field necessitates. Dictaphones, hidden microphones, smartphones, surveillance cameras and mobile phones. are broadly used by individuals to record dialogue of third parties. On occasions, due to the inexperience of a sound operator we often find the recorded material is unintelligible or inaudible. Recordings can be cloaked by interior or external sounds such as horns, construction work, crowds etc. Through the use of specialised audio forensic equipment and our expertise we can uncover evidence which is generally inaudible to the human ear. All types of recordings on basically any format can be analysed through our specialist forensic services. Recorded material on various machines on a wide selection of formats at times require enhancing or cleaning so that the recording is audible and clear. For example in legal cases, recordings can be an important piece of the evidence for both the defendant or prosecutor. Here the audio enhancement process plays a vital role. Remove wind noise from audio. Hidden microphone recording clean up. Enhancement of poor quality audio. Search for any third party editing. Trace any discrepancies caused by third party studio production. Measure wave patterns to determine sound or voice comparisons. Use diagnostic techniques and procedures to verify certain parameters of a particular sound. Detect any modified content in a recording. Construct an analysis report on findings to add supporting evidence for the client. In-depth cleaning of specifically chosen dialogue. In-depth enhancement of retrievable recorded conversations. Object sounds surrounding dialogue removed or reduced where possible. Background conversations reduced surrounding the main dialogue. Muffled recordings cleaned and enhanced. It is important to note that there can never be any guarantee that all dialogue can be retrieved or enhanced as it always depends on many factors including the condition of the original recording presented to us for assessment, how and where the recording was recorded and the level of professionalism of the person recording as well as microphone placement at the time. Environmental sounds, environmental locations as well as the equipment initially used including the camera, recording device(s), microphone positioning and setup of recording equipment can add artefacts, dialogue obstruction and noise obstruction of which can cause any or all dialogue to be inaudible or lost and consequently can cause permanent damage to the audibility of the recording. Please keep this in mind when submitting any recordings to us for assessment or assignments. mp3, avi, mpeg, ogg files, CD’s and DVD’s. Sound restoration is a specialist skill that requires knowledge, patience and precision. Using professional audio software and hardware that incorporates specialised filters we can transfer and transform your recordings from a scratchy, worn, faded audioscape to a bright, shiny, dynamic and prestigiously digitised multiple soundscape. Historical documentary and film archive restoration. Vinyl, LP, EP and 45's restored. The Voice forensic process calls for our voice experts to implement their skill and expertise by analysing, comparing and identifying speech and dialogue patterns from an audio recording. Generally, voices can be muffled or set back in a recording. Inaudible speech or sound is firstly cleaned and enhanced, then a professional voice expert using their trained ear can decipher dialogue and the identity of a speaker. Recorded voices may also require the pitch, inflection and phonetics to be analysed and investigated to identify and then perform a voice comparison to determine for example, whether two or more recordings of dialogue are the same voice. The voice diagnostics process can be used to assist recordings of an evidentiary nature when speaker profiling is required. There are two niche areas of forensic transcription we deal with. Firstly, one is evidentiary in nature, focusing on criminal defence or legal litigation transcripts. This type of transcription requires the sound quality to be improved and the speech dialogue to be enhanced so that the recording of the voice can be transcribed to clearly state the dialogue of a recording. The second area is classed as verbatim, which means that all sound and dialogue in an audio recording must be transcribed. This can include background hum, phones ringing, horns of cars, alarms and all environmental noise. All of these sounds are taken into consideration when transcribing. The reason is that these sounds which could be perceived as interference can actually be a very important contribution for legal cases or investigations of an evidentiary nature. We can splice or remove sounds which are unwanted on recordings. For example the rustling or shuffling sounds made when a recordist is hiding or carrying a hidden microphone on their person. Also there may be certain parts of a recording duration that may not be applicable and therefore we can edit sections of a specific audio recording without affecting the authenticity of the audio evidence whereby, we maintain that the client has the original recording stored on the original recording device and we work on a verified copy of the original recording. In mastering we implement processes in order to transfer a fully cleaned and optimised recording to a digital format. We specialise in digital mastering to USB drives, CD's, DVD's and various digital audio formats for electronic standalone and portable devices. We also have the facilities to offer mastering onto analogue cassette tapes, a format which is still widely used today in the legal services industry. After the mastering process, the next step involved is the transfer and duplication. We can transfer and duplicate the following analogue formats onto your preferred choice of digital media. Alternatively we can transfer and duplicate your mastered files onto analogue tapes. We understand that for most people purchasing any surveillance equipment, covert devices or spy equipment from any spy store or shop can be a challenge due to the variants on technical specifications and the expansive variety of devices available on the market. You will find many devices are manufactured for specific tasks so it is always best to consult a specialist before purchasing a product, so that your specific requirements are covered. Choosing the right hardware for your requirements. Professional opinions on recording equipment usage. Industry standard location placement and setup guidance. Training and advice on the how-to of recording procedures and techniques. Our recording advisory service and consultations are based on industry standard procedures and we can assist businesses as well as both the private and public sectors. Please note: When using covert, surveillance or spy equipment to record audio, sound or video it is important to comply with all privacy regulations and laws. To make sure your recording will not infringe or violate any privacy regulations or data protection we suggest you first contact an appropriate legal advisor before commencing any recordings. We offer a standard no obligation free quotation service. At times however, there will be certain cases where an additional fee may apply in order to conduct a quotation on a client's recording. These such cases are not as common and the client would be notified in advance of any applicable fees. Our versatile UK team are dedicated to specific areas, so you know a specialist is working hard on your submission to meet your requirements. Please note that the above-mentioned services are deemed as separate individual services and therefore you will need to specify your specific requirements before any work is quoted or can commence as we do not include them as a package unless specified by the client.